Cool classics consisting of jackets, pants and layering pieces that epitomize effortless, enduring styleit's wardrobing made easy. Approx. measurements: 10.5" rise; 32" inseam; 41.5" outseam. 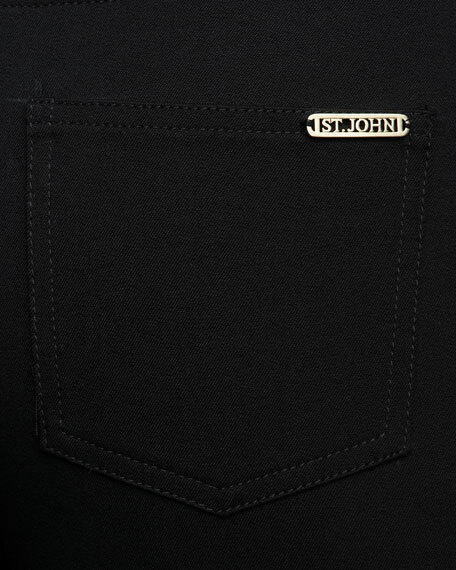 Five-pocket style; clean back pockets with golden logo plate detail. 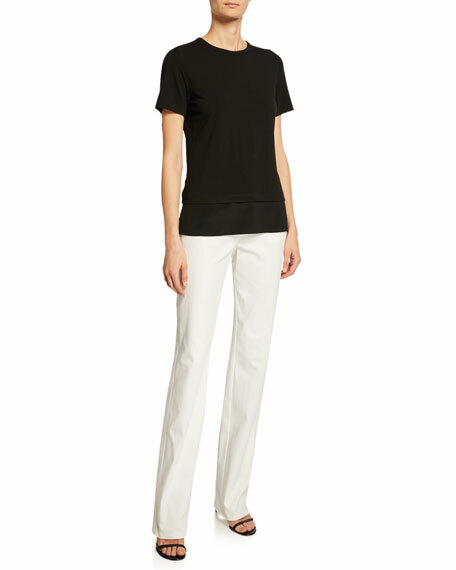 Anatomie "Kate" cargo pants in lightweight UV protection fabric. Super stretch. Low rise. Approx. 29.5" inseam. Cargo pockets at thigh and back. Slim legs. Ankle length. Two button/zip front. Cotton/nylon/spandex. Made in Romania. Model's measurements: Height 5'10"/177cm, bust 33"/84cm, waist 25.6"/65.2cm, hips 35.8"/91cm, dress size US 2-4/FR 34-36.